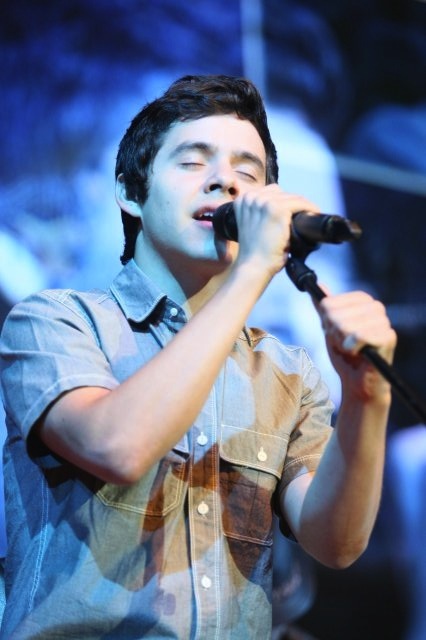 If you’re reading this, you’re a fan of David Archuleta. And not just any fan, a big fan, an ODD fan, because regular fans don’t go to fan sites. Right? So, why do we do it? 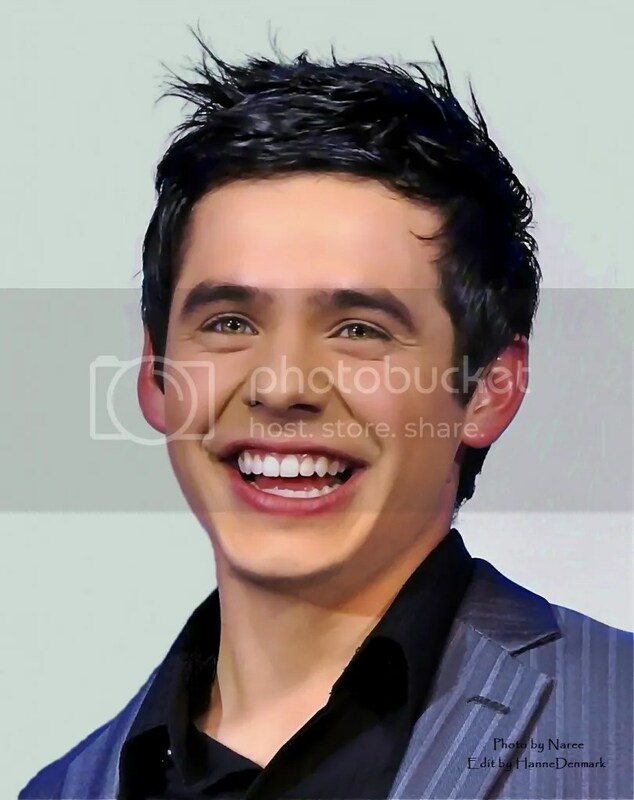 What is it about David Archuleta? In a conversation with another fan the other day, all of David’s wonderful attributes naturally came up. I mean, honestly, can you talk about David without going on for hours if you’re in the company of another fan? Conversations usually begin with a discussion about his amazing voice and his most recent songs. Phrases like … beyond amazing … so incredible … like melted chocolate … and smooth as butter … are usually heard. Eventually, we run out of words to describe his gorgeous voice and the topic turns to his most recent photos and photo shoots. What hasn’t been mentioned about David’s good looks? We have covered his smile, his eyes, his ears, his eyebrows, his chin, his fabulous jaw-line, his nose, his dimples, his flawless skin … AND THE HAIR!! OMG! THE HAIR! (Yes, I know, I have a thing for the hair. haha) But apart from individual traits, there seems to be a consensus among fans that when you put all those beautiful parts together you get one gorgeous young man who doesn’t seem to realize he is beautiful. For me, it started with American Idol. 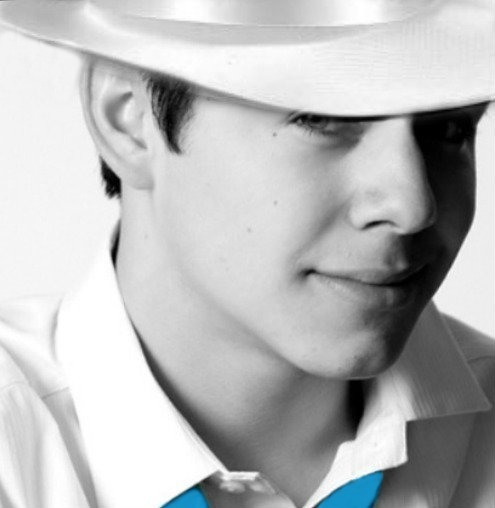 David was only 17 years old, 16 in the audition and Hollywood rounds. Oh yes, he was a real cutie pie, but I’d hardly have called him handsome. He was adorable. That’s all, just simply adorable, and he stayed that way for a very long time. 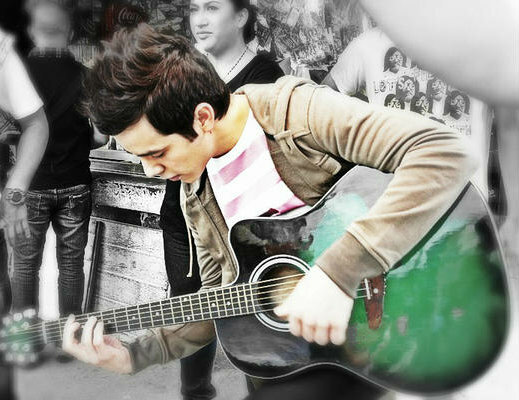 I fell in love during American Idol in 2008 with a 16/17 year-old boy who sang like an angel and captured my heart. Just looking at him made me smile, almost the same way that looking at my grandson’s face does. His sweet face and his smile just melted my heart every time I saw him. He was literally a bundle of joy who, in some unexplainable way, made me happy. When the show ended, I realized I wasn’t ready to let him go. Well, you all know how the story goes from there. I discovered YouTube!!! And fansites!! And chats with all of you guys!! Life was good! The ODD just kept growing like a well-watered plant! 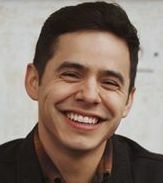 Day after day, while I was reading articles and waiting up for concert footage, David Archuleta just kept digging his way deeper and deeper into my life. 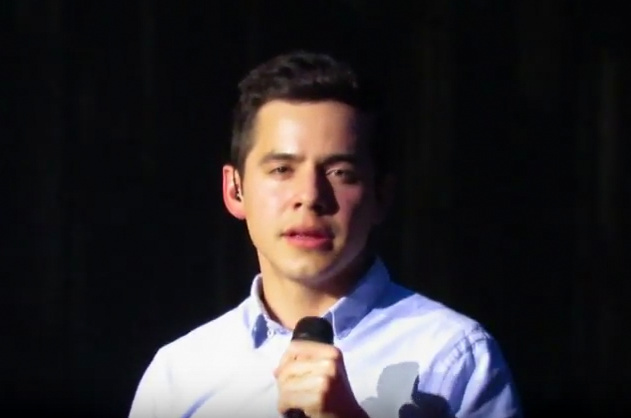 There were videos and concert recaps to enjoy, new concerts and events coming up to get excited about, and ALWAYS … my “David friends” to share it all with. 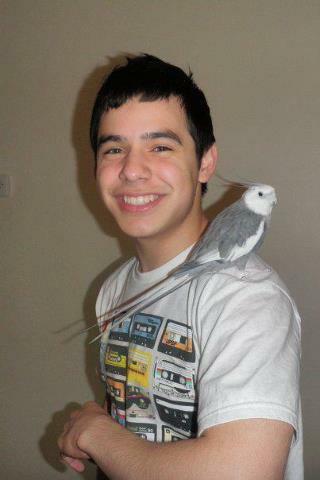 In sudden shock, I realized that David was no longer just that little cutie-pie I fell in love with. This was a man who was taking the stage by storm and driving the ladies out of their minds. You could tell by the SCREAMS in those first videos that I wasn’t the only one he caught by surprise! I’m not even going to get started on the Bench BTS videos and photos, the pink shirt and the fan, or the Rainbow music video. So now, I am faced with adjusting my ODD to encompass this new development. Well … honestly? It wasn’t all that difficult. It took a little while, but I eventually got there and was able to accept that not only was I a fan of his voice and character, but I started to really appreciate what a good-looking young man he had become. So while I still don’t completely understand my ODD, I have accepted that it is a work in progress. As David continues his musical journey and takes us all along with him, he will change and grow in many ways. Just as I began by loving his voice and sweet smile, then moved on to also admire both his character and good looks, I will probably always love what comes next. 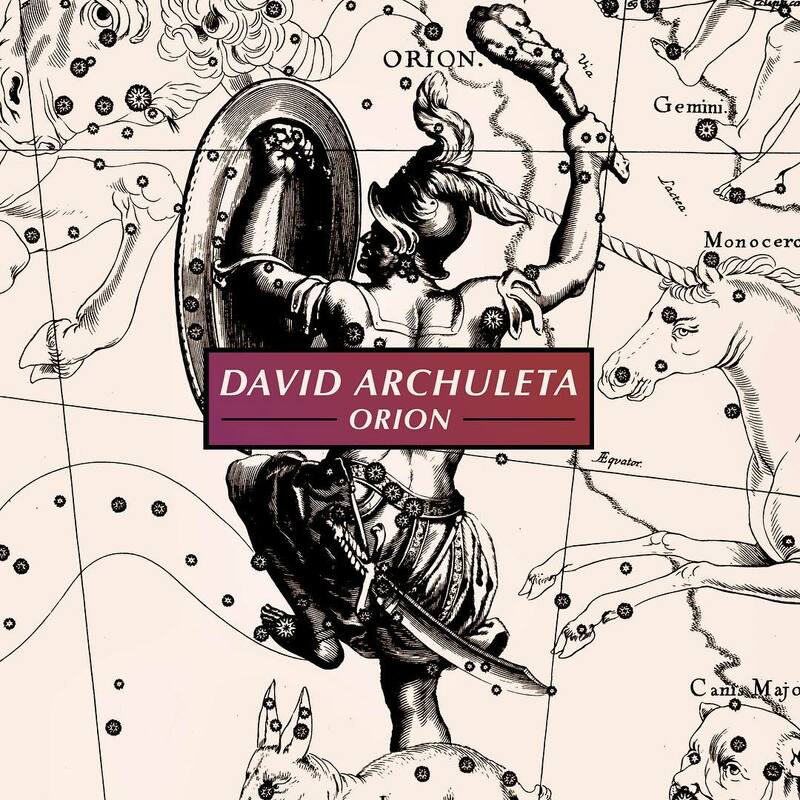 This entry was posted on Sunday, November 11, 2012 at 11:40 PM	and is filed under David Archuleta, The Voice, Transformation. 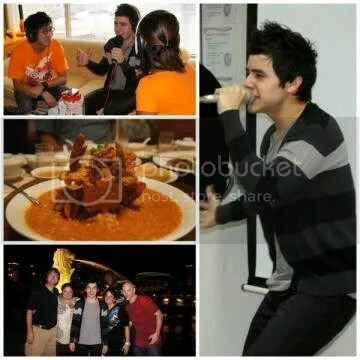 Tagged: All that and a bag of spicy nacho chips, David Archuleta, ODD, Why ask why?. You can follow any responses to this entry through the RSS 2.0 feed. You can leave a response, or trackback from your own site. Yeppers, MT…The.Total.Package—the real deal!!!! Boy, you’ve really covered it well here. MT – you got it! It is certainly amazing to me that I have been captivated by this young man – and yes, I too was floored by his voice when he was 16/17 and thought he was a sweet and cute young man. But here he is almost 22 and I’m still watching him mature, grow, and come into his own personality and style. He rocks! There’s no getting away from it. 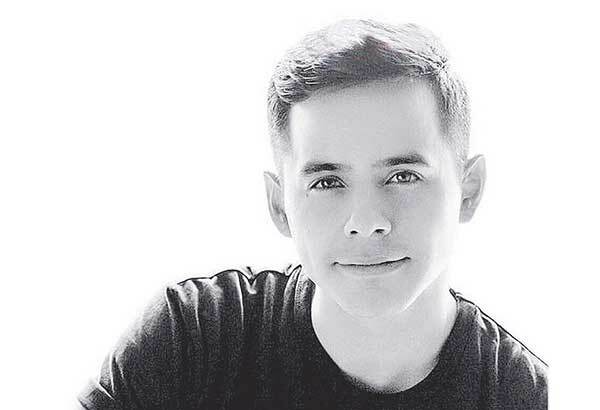 And yes, it sometimes makes me wonder why I am so enthralled with this young singer who makes my eyes tear up when he sings Ave Maria, makes me laugh when he does a vlog, makes my heart sing with joy and my feet have to dance when he jumps up and down singing Zero Gravity. I’ve never been a fan of anyone before like this. So, there is something definitely different, and special, about David. And I’ll be darned if I can figure out how I (and you all) got to be so lucky that we get him. I’ve given up trying. I’m just enjoying! Thanks, MT, for putting into words the “Total Package” aspect of David we are seeing emerge these days! “He kind of kung-fued right to my very core that night. #notcomplaining” << LOL Good way to put it. I think those first few moments are what caught me by surprise. I really started to see him differently right then, and the rest of the performance(s) just solidified it for me. I don’t want it to go away either. It may be confusing, but it’s a wonderful journey he is taking us on. #DA2014 Can’t wait to see what happens next. I feel like the rest of you , I have never been a fan like this with anybody else. What more is there to say ! Except thank god for david !! Right there with everyone, ODD and enjoying every minute of the wonderful music journey we are on. SO EXCITED FOR DAVID’S FUTURE MUSIC CAREER. After reading the wonderful recap from Glayds, I am even ,more excited to hear David’s new found matority. It will be so special for all of us ODD fans when David returns and become the huge music star that we all know will happen!!! Just glad to have been caught in this web. Let’s celebrate the release of David’s first album! We have these discussions in chat frequently and it always comes back to the same questions: Why is there such a strong pull between David and his fans? and What is it about David that keeps us pinned here day after day after day and year after year? You owned up to the challenge MT, and you aced it! He is The Total Package. 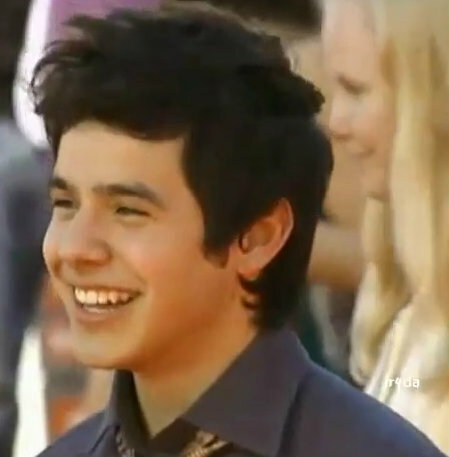 I was drawn to David back on Idol for his angelic voice. But there was something else that drew me in, something powerful yet hard to define at the time. He was so captivating for a boy of 17. And very endearing. It was refreshing to see a young person with manners and so much integrity. His character, good nature, million dollar smile, infectious laugh and the way he showed grace under pressure together with the sound of his voice all contributed to me never missing a night of Season 7. I’ve grown to respect David for all that he is, and for all that he is yet to become. Ummmm, nuh uh. Not buyin’ it. No “probs” about it. You are here to stay. I see that little eye nailing you from under that white hat. And i appreciate your article. Thank You! For 4 years I was looking at David, through a window. I saw him grow up, I saw him say no, I saw him break free, and I saw it spread its wings. I even saw him fly, then I followed him. I can say with certainty that he grew up before my eyes. The person I saw on July 15 is completely different from the person I saw on October 13. If you ask me why I love David, I could answer that David is a box of candy. Each sweet never tastes the same, but surely each of the candy will lead to an unexpected place. The expectation, surprise, I am anxious to know the place unexpected, he took me in December. And a total (beautiful) package that isn’t yet completely opened! I don’t know how I landed in this space, but it’s a good place. I hope your Christmas wish comes true. “I’ve grown to respect David for all that he is, and for all that he is yet to become.” << Absolutely! No doubt about it. I love the way you put that. David is definitely like a box of candy. Each new thing is a surprise, and always sweeter than the last. He keeps you wanting more. My Christmas wish … Gladys, I hope all your Christmas wishes come true. Please let Gladys be able to see David and hear him sing his beautiful Christmas songs in person this year. Yep, That package is still being unwrapped. The anticipation is so much fun! Like Christmas morning, while you wait for all those wonderful little surprises. To me, David has changed a lot over the last year. Why? IDK Maybe it’s just his age, or everything he’s gone through; the music business negotiations, acting in NA, or the decisions about going on a mission. Maybe it’s all of that and more. Very nice article MT. I think we all understand your description of early David until now! Check out TOfan’s astrological forecast as aell. I have never read words before that suggested what we have not quite described or understood. Seems so right. I just can’t help but think that the rich, wonderful laughter and support and jibing and teasing and companionship of dozens of guys his own age – all working together for a common cause – all on an adults errand…. don’t know if I can explain it…. I just know what it has meant to my own sons to have great friends and each other. 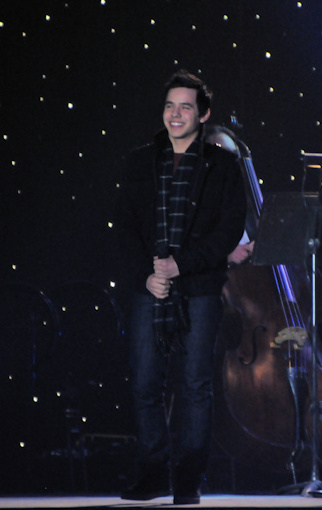 I am so extremely glad for David Archuleta to have this experience. He manages to glean good stuff from the most difficult of circumstances. And this experience has more in it to support him than even he could have “imagined”. Gladys – he has grown possibly because he had only been there 3 months on July 15. By October 13 it was 6 months (he arrived April 16). He is probably more settled in and relaxed. The first 3 months was probably a learning time. He was also made a Lead companion (LDS members correct me if I’m wrong)since July 15 so that could have led to a more confident and “take charge” David. All speculation on my part, but he will probably grow more and more the longer he is there. He will be quite a man when he returns. MT…..What a wonderful post! I could identify with everything that you said! Yep, David is the Total Package! MT—Great article. I can definitely agree with all you said. I don’t understand the “hold” David has on me, I have a grandson his age, but I do know I’ve never connected this way with any other singer. I still watch Amer. Idol, when I can remember to, but never vote anymore. David is the only one I really cared about winning. I’m just not interested in other singers anymore. Every now and then I hear one I think is good, but they’re just passing time for me until the REAL ONE comes back from his mission. I ran across a video of Phillip Phillips singing “This Christmas” on mjsbigblog. I almost laughed out loud. Doesn’t he know David owns this song. He seems like a nice guy, but everyone pales in comparison to David, and once he has sung a song, no one else should even attempt it. Can’t wait until March of 2014. At my age, I usually want time to slow down, but I want the next year and a half to fly by. The Total Package is absolutely right! You made me remember something MT, back at the beginning of this incredible journey, when Simon named off our adorable David’s attributes during Hollywood week, saying this….. Thanks. And I read that article, amazing how well it described our David, isn’t it? “He will be quite a man when he returns.” << Well said. Nice to see you here! He really is The Total Package isn’t he? And that package seems to just keep getting better with time. I feel the same way about AI. I already found my idol too and am waiting as patiently as I can for 2014. “(those eyebrows do not lie)” LOLOL No they don’t! And Simon got it right. Our little David had it goin’ on for sure, and that was only the beginning! Beautiful essay and comments with Pictures to match! We are so blessed by this community! I’ve been thinking about this. 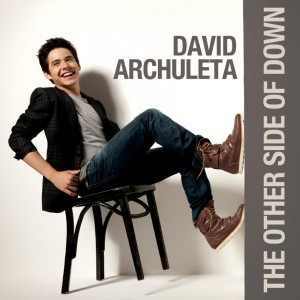 On American Idol, I really liked David because of his voice and cute awkwardness and sweet humility– but it was when he sat down in the middle of that stage (when Seacrest was trying to force him to designate the winners/losers of the night) that I fell in love….something about David’s heart, love and strength of conviction turned me from just a music fan to a whole person fan. I am sure I will always cheer in his corner. And I am with BEBEREADERWRITER (“I’ve grown to respect David for all that he is, and for all that he is yet to become.”) and I am sure the rest of you when I say I can’t wait to see what the future brings. XOX Emifriend. 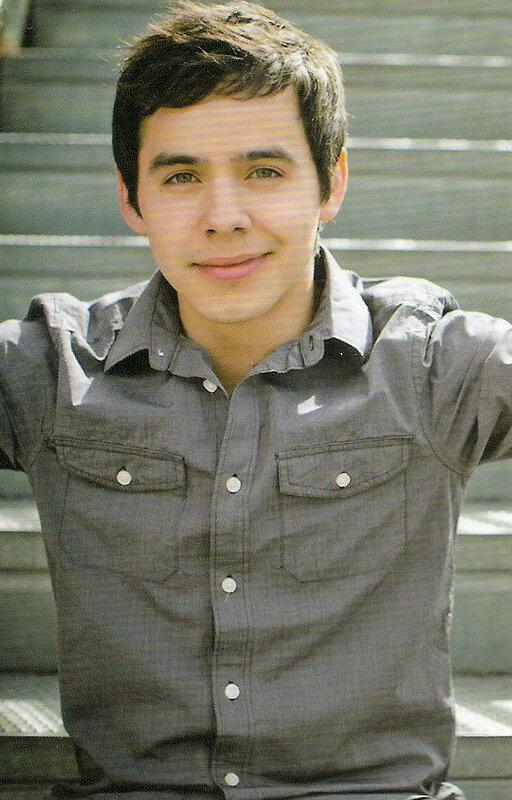 I would still be a fan if David stayed as he is now but what a bunch of lucky fans we are that David continues to grow. It’s something he has stated in many interviews, growing is important to him. When talking about his mission decision he said that while away he would grow in a way he hadn’t been able to. I’m not into astrology but that write up on snowangelz is sure dead spot on. I just know I’m here to stay. MT – He truly is the total package. This is what makes me such a fan of his. Not just his voice which is remarkable, but the person he is. He is just exceptional. He deserves all the accolades and respect he is given. The fact that he went on a mission shows that his priorities include all aspects of his life, in addition to his family. His music career is his love but he also knows there is more to life. Another quality that makes him so endearing to me. All this will make the person he brings back much more mature and confident. This will translate into great music and songwriting! It will be great to follow him from 2014 on! MT, I LOVE this post! David continues to grow both physically and personally! TOTAL PACKAGE? Yup! That and then some! 😉 What a wonderful journey this has been! 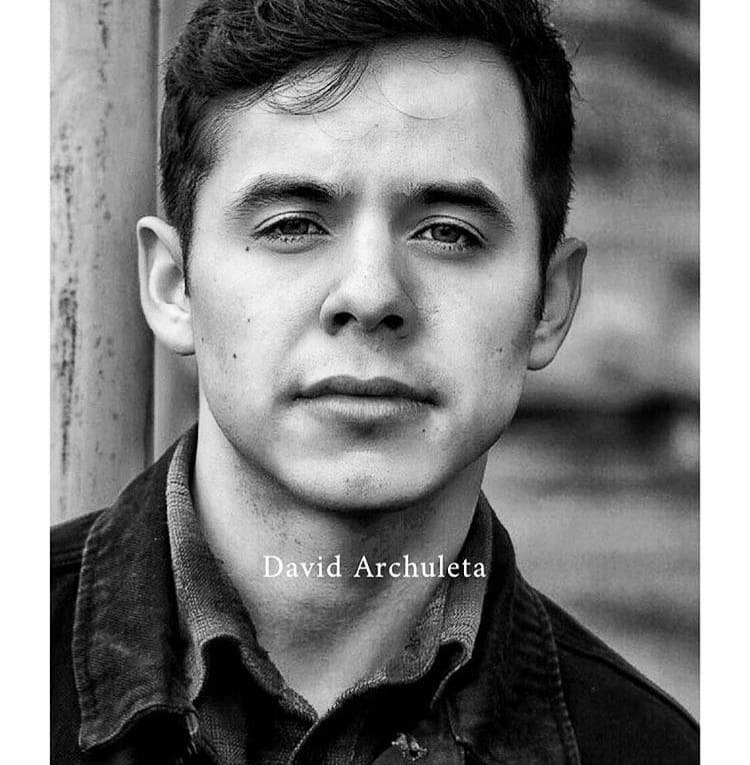 I’m with Emifriend, Bebereader said it perfectly: “I’ve grown to respect David for all that he is, and for all that he is yet to become.” AMEN! MT…what a feast! And, what wonderful “side dishes” served by all you lovely posters! There are so many things I would love to quote and give an “amen” to, but I’m afraid I would take up WAY to much space! I loved your article so much and grapple with that question on a regular basis. But like so many have re-quoted MT: “So while I still don’t completely understand my ODD, I have accepted that it is a work in progress!” Yes. I remember an article on Snarky Archies several years ago discussing the difficulty of fully admiring David…like trying to keep 3 balls juggling in the air. One being his incredible voice, the second being his amazing good looks, and the third being his wonderful, inspiring, and yet funny personality. They were saying that it was almost impossible to keep all 3 in the air at the same time, because each one was such a distraction to the the others. I wish I could remember it better, but like this article, it really hit on the interesting and unexplainable pull this young unassuming guy has on such a diverse group of people. Well, whatever the power it is that is at work, there is an undeniable truth…that cranking up the stereo while riding solo in your car, while listening to David…well, there is just nothing like it! Haha! MT, love your comments!! As I was scrolling down the page I looked at all the pictures that are posted on the sides of this site. 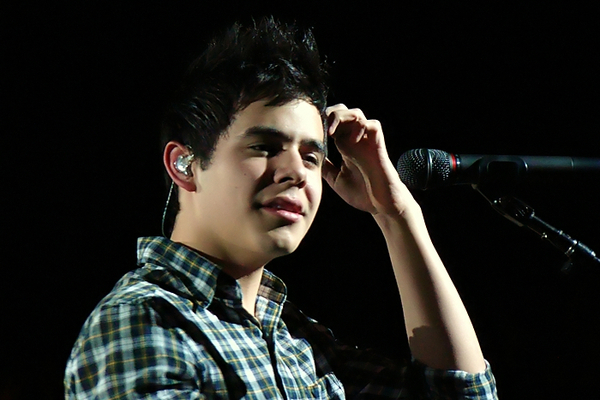 They show many wonderful sides of David. He is so AMAZING!! Mi día está completo, estoy feliz ahora. ¿ que más puedo pedir? My day is complete, I’m happy now. What else I can ask? Thanks for sharing your thoughts on this wonderful thing called ODD. 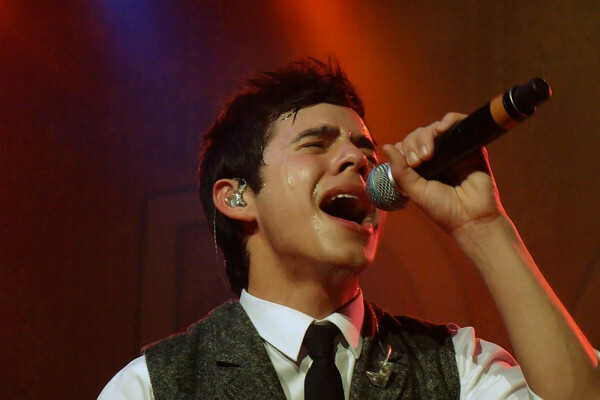 We all struggled in the beginning with a decision about being a fan of David Archuleta. It was a strange new sensation to NEED to know as much information as we could about this young Idol. Where would we find anything? He was a new star on the horizon! Had it not been for few fan sites that sprang up after AI7, I would have lost track of David’s career. I am ever grateful for every site that keeps the flame lit. 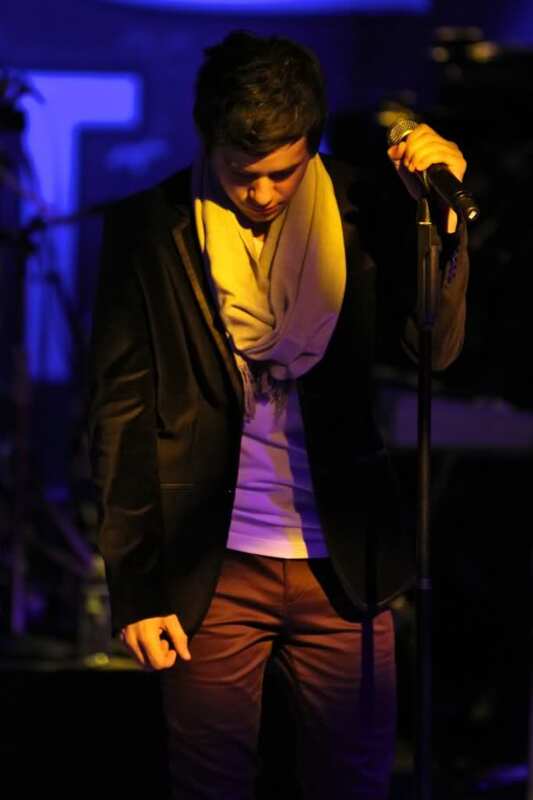 It is all for this special singer that takes our breath away every time he sings.! Thanks for you comment on the sidebar pictures. They are my baby project and i love that you “get” what I am trying to show. The site should be much faster to load from now on. Thanks to Marlie for her suggestion on how to fix the problem. Sunny after reading your comment I scrolled down slowly and looked at each of David’s pictures. It’s like a picture diary of his journey. 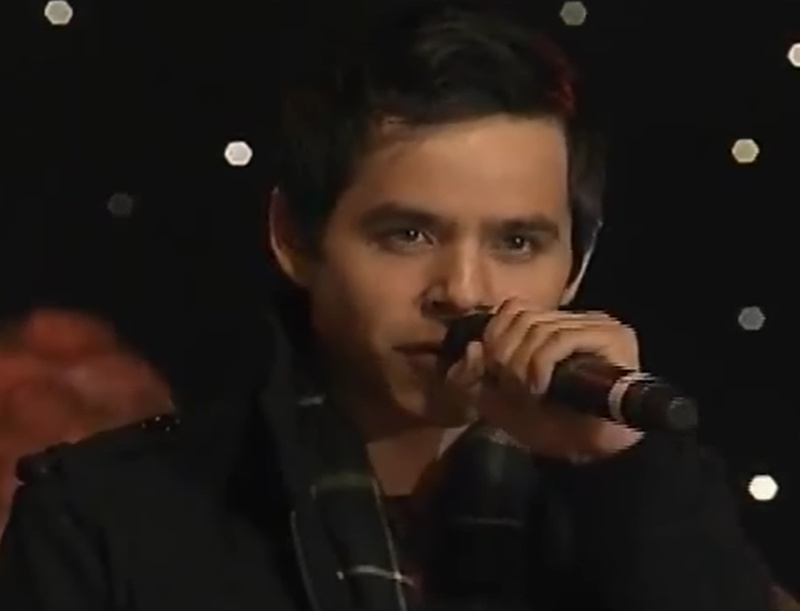 I just watched 2 of Archie’s performances of it…omg…night and day! They are in different categories. Archie is a Singer…Phillip is a Guitarist who sings. Thanks so much. I’m glad you enjoyed it! It has been such a wonderful journey of surprise and discovery. To watch such a talented young man grow into greatness, to be a part of it, well …. What could be better? Haha You should have written this instead of me. I love everything you said and completely agree. And Aristotle must have known David because that quote could very well be written about him. It’s that wonderful combination that makes him so fascinating. Until David, I never really got what they meant by “The Total Package.” I sure do now! Those sidebar pics are a lovely trip down memory lane. You can watch him age and change as you go through them. ♥ Thanks. This is our thank-you to David Archuleta for giving us a special gift before he left, a gift made with all his heart and soul- the BEGIN. album. This is also our thank-you to our donor-angels for their generosity and kindness! We can never thank you enough. We will look forward to the future, and will be going along with all our Archie friends through this new chapter in David’s life to wherever the road may lead. Vietnam fans rock! What a beautiful tribute to BEGIN! Join us for Nandito Ako chat tonight. For any fans who have not yet seen the miniseries, we’re starting from the beginning tonight, at the very first show of Week 1. To change things up a bit we’ve included some related videos for your enjoyment. I bought the plane tickets and booked hotel. (for the 1st and 2nd December) I will meet two Chilean girls to lead me to the place of the devotionals, take gifts for them. Today I received an e-mail Centro Jas Rancagua, they tell me to be patient with the confirmations of my application to be invited. Gladys!! So excited for you!! See you all in chat! Abrra~I haven’t posted for a while but I just have to tell you every picture on the sidebars is just gorgeous! You have done an exquisite job of selection. Bravo!!! MT did you sneak in my brain before writing this? coz everything you said…eeeeeeekkkk…my thoughts exactly!!! loved reading your post and all the comments. Gladys – so happy that you are going to watch David perform in his Christmas “tour”. Lucky lucky you! The sidebar pix – I’ve been trying to pick a favourite but it’s haaarrrd! Everyone is so gorgeous. So sad I couldn’t be at NA chat. “Related videos” – need to see those! Thank you Kari (even if she doesn’t see this) for tweeting the Singapore pics. Whether you realize it or not there really are many many fans of David’s who are waiting at the other end of Twitter for any morsel you offer us. Missed you in chat last night! No worries about the ‘related videos’. By the reactions they received last night, we plan to make them a regular habit in the NA chat! 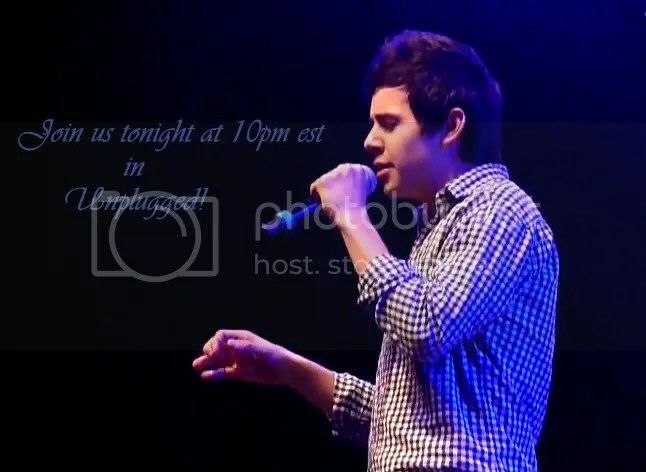 A @davidarchie tweet via KS! Someone has their FEE!!! The Rainbow MV alone is worth the cost of FEE she says!!!! The Rainbow Remix MV is worth the price of the DVD!!! Love it! 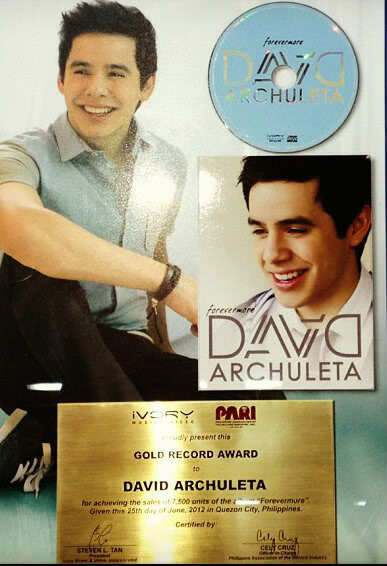 @DavidArchie @kariontour Thank you!!! This just seemed to go here right now. I added some pictures that have dancing moves. Please let me know if the site is running slower for you? I am testing them out. I don’t want to cause anyone to have a slow page loading experience. “MT did you sneak in my brain before writing this?” LOL I might have taken a peek. 😉 Glad you enjoyed it. Missed you in chat! 52. Abrra — the site is running just fine for me, thanks, just fine! Slow? Are we talking slow-mo here? Very nice. I was trying for My Hands, dang. When you copy the link of a video that is included in a playlist, I think it posts the first one in that playlist. I noticed this happening recently. So from now on if you post a video make sure you are not watching one from a users favorites playlist. Is this the one you wanted, Betsy? I got it by searching the title. This time it is not a part of your playlist. My Hands….. thank you betsy/Abrra! I couldn’t stop watching it last night. And while I don’t have a playlist, I was watching from my favorites. The last one I favorited was the one that posted. I forgot about that, it happened one other time. I am so afraid of clicking on that video of My Hands at #60. I might get lost in David videos on youtube for hours like I was last night looking at This Christmas videos after reading Dja’s comment #33. So glad NA “related videos” are going to be played again on NA chat. My schedule now looks like I would be able to join in next week. Missed you guys! My Hands…sigh, one of my all time favorites. 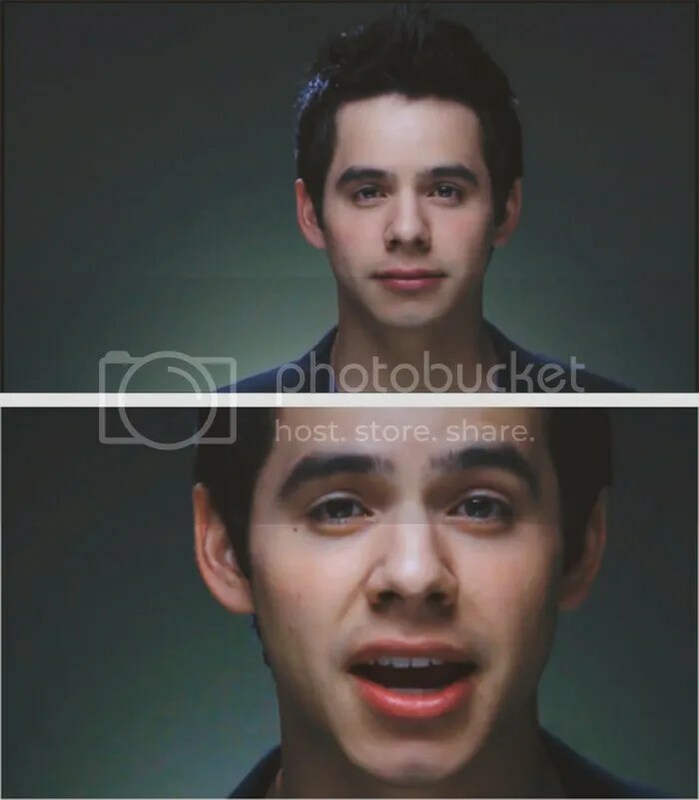 I think it would be awesome as a music video with clips of hands coming together–different ages, different ethnicities, different social and financial situations–tied together of course with clips of live performances of our handsome David. I just think the country, as well as the world could use some coming together at this time…and who better as an ambassador of peace than David. As we are anticipating the release of the new Rainbow music video, I can’t help but remember the “Rainbow Song” sung at he finale of AI 7. In particular the funny mention of it during the interview with Michael Slezak. 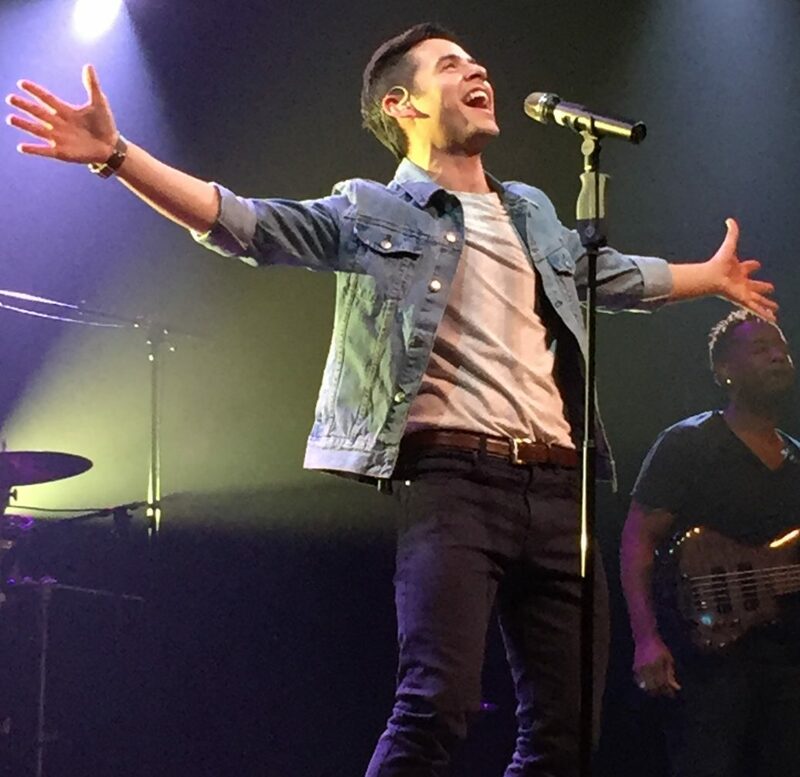 He didn’t think he could pull off a song with rainbow lyrics…well, if the snippet is any indication, he is long past “pulling it off”; he is the Rainbow King! Fenfan, I made it to NA this week and it felt so good, you were missed. EVERYBODY HURTS VIDEO ON MUSIQTONE COUNTDOWN IN THE US OF A!!!!!!!! GET READY TO VOTE!!! @HUNNZY loud and clear. David makes the cut, part of a confirmed latest group (so far) of new vids that will enter The Countdown on Fri! so keep voting: web | http://mtone.me/loinlg mobile | http://mtone.me/pqwlBY …it may come down to MOBILE votes…so EVERY vote counts! Lol Kaycee, when I heard that one of the songs in OPM album was Rainbow, my first thought was when he said he couldn’t do a rainbow song. Can’t wait to see the remixed Rainbow video, I know I’ll like it, but hoping to be wowed!! My feelings about why we are still here with ODD, why we even have ODD to begin with is very much as you say: he is the total package, all wrapped around that miraculously, melodious Voice. I have often wondered if he weren’t so beautiful, would we still have ODD? I would go to all his concerts and buy everything he put out, but probably not look for any bit of news or pics, vids of him online or at fansites daily. The sidebars would not be anywhere near as interesting. It would all have turned out so differently. But God works in mysterious ways, His wonders to perform and He gave him that mug. And for good measure, imbued him with such an amazing ♥ that the rest, as they say, is history. On another note (puns r us! )… I have been following the recovery efforts of the people on the east coast. I feel so deeply for their plight, especially as winter comes so soon… and the holidays. While watching some of the news broadcasts, I kept seeing ‘yellow shirts’ in the background and I wondered. So I checked a couple of places and yes, “Helping Hands” people have been showing up. Actually thousands of them. Many of them are neighbors or from states close by, and some are missionaries who are serving in those areas. I couldn’t help but think of DA (who doesn’t!) and that if he had been sent to one of those areas – or if there were trouble (no, please!) in Chile where he is now – this is what he would be doing, too. I loved seeing the smiles on their faces. So… I thought maybe you all would like to see some good news from there as well. The people with little black name-tags hanging from their yellow shirt coverings are most likely missionaries. The “Helping Hands” program welcomes all who wish to join the work and help, no matter their faith or who they are. Have a wonderful day as you plan and prepare for Thanksgiving (to those here in the states)!! Kari tweeted a collage of David pics. I enlarged it but its a tad blurry. The food is a spicy crab dish. She forgot the name. Here is the original size. hahaha So funny how David invades our daily lives. How awesome that Musiqtone is including David! Will you let us know when it’s time to vote and give us a link? Yep, that “mug” (LOL) is just as much a gift as that incredible voice is. Angelica, I love your thought that “the sidebars would not be any where near as interesting” . That is the truth. There would be much more audio and much less video if not for that “mug”. And other parts. It was not until the interviews that followed AI that I had any idea of the depth of his character. Every new interview would contain a statement that made me wonder how such a young man could be so grounded. Ooooookay. The fanbase has been complaining am killing them w/ the Rainbow screencaps & teasers. So I asked David what he thought of this. Ya know what he said?! JR, hahahaha I WANT MY FEE!!!! JR and DJA, so cute, no, no, no, but yes, yes, yes, I want my FEE too!! I found this photo, I had not seen before. How about some Friday Rainbow shoulder action? And some more staring into the camera? I can’t wait much longer for the new Rainbow Remix video!!! Must scream cap!! Lastly, we have all of David’s MOTAB performances in one place! #70 Abrra that spicy crab dish in the photo is chilli crab, a favourite seafood dish of Singaporeans. We love it! It’s mud crab cooked in a spicy gravy made with chillies, tomato, garlic, rice vinegar etc and thickened with beaten egg added at the end of cooking. After eating the crab we mop up all the gravy with mantou, a plain fried bun. It’s finger licking good. I am sure David would have loved it! I hope one day all of you can come to Singapore to try this delicious dish. 78. “Must scream cap is right Abrra! eeeeeeeeek! Thanks Abrra! 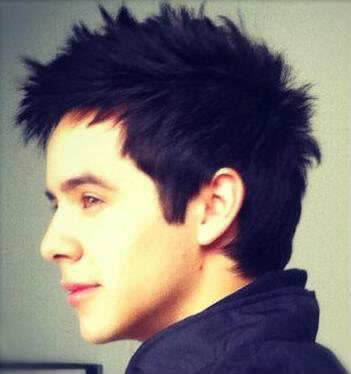 I LUUUVVV David’s shoulder action.! You and JR are a pair for sure. lol. Gif generators and Screamcappers extraordinaire. I got the confirmation for the devotional in San Fernando day 1 and day 2 in Rancagua. I’m confirmed for both devotional. I’m a happy person. I’m crossing my fingers for days 7 and 15. Hola Gladys — such wonderful news. Good for you, our very special David correspondent ! Gladys! I am so happy for you! I just got home today from Rio de Janiero so I have not been online very much since we had dinner together in Buenos Aires. It is exciting that you will be able to go to Christmas events!! Oh Gladys!! Happiness for all!! Confirmation is such a lovely word. Am already impatiently waiting for your recap. Get packing. Don’t be late. How fun to be a bird on David’s shoulder. Could someone photoshop me into that picture? I couldn’t be more excited for you! Thanks for the plethora of links! Can’t wait to get my fingers on that list and start voting et al. So glad to see David back on Musiqtone. Hope his songs turn up on VH1 next! From The Voice email bag today! I have ventured into unknown waters…gif creation..lol… the waiting is aaahhhhh!!! 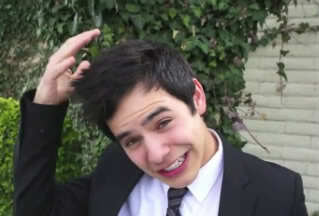 David is imitating us!! He knows, oh yes he does! Just saw this announcement in an email from the MoTab Choir. This will be on byutv.com. Care to have some groovin’ from DA? How bout tryin’ the Rainbow Shrug? I am doing some tinkering with videos in Unplugged. There are a few with me. All are welcome to stop in. Loving that shoulder action. Can’t wait for the video! And love that gif in #92. He just can’t hold still when the music is playing. I found this today. TMH has a special place in my heart. Why did I shed tears while listening to It? Abbra, would you put it in the candy jar, please? Maybe it’s already there. I’ll go look. Thanks! Here you go Gayle 🙂 It’s now in the Candy Jar. What a wonderful post! I agree with every single word in it…like really..HOW CAN SOMEBODY POSSESS ALL THE INCREDIBLE TALENT, THE MAGICAL VOICE, THE GOLDEN PERSONALITY AND ALL THOSE GOOD LOOKS? 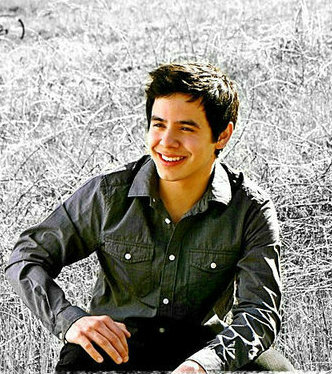 For a teen like me, it is normal, I think, to gush on a lot of guys, but compared to everyone else, David clearly comes on top for me. He looks so angelic and so precious and so gorgeous, it is hard to believe that he is actually HUMAN. And his personality and talent makes him even more beautiful. I agree HE IS A PLEASURE TO LOOK AT. I can just stare at him the whole time and my day would be complete. He is just the COMPLETE AND TOTAL PACKAGE. Gayle, and Betsy…love those videos. Thanks for both! Thefiictionfreak: I kinda love your name. Welcome! Gladys! Happy, happy news! Here’s to the magic of the Holiday Season! WELCOME to The Voice! Yes, David has so much going for him. As if the incredible voice wasn’t enough, he was also gifted with a wonderfully charming personality and good character, and when you add his looks to that, he really is the Total Package. What more could you ask for? Well, maybe we could ask for him to be home. LOL I sure do miss that guy. So Happy for the news Gladys!! 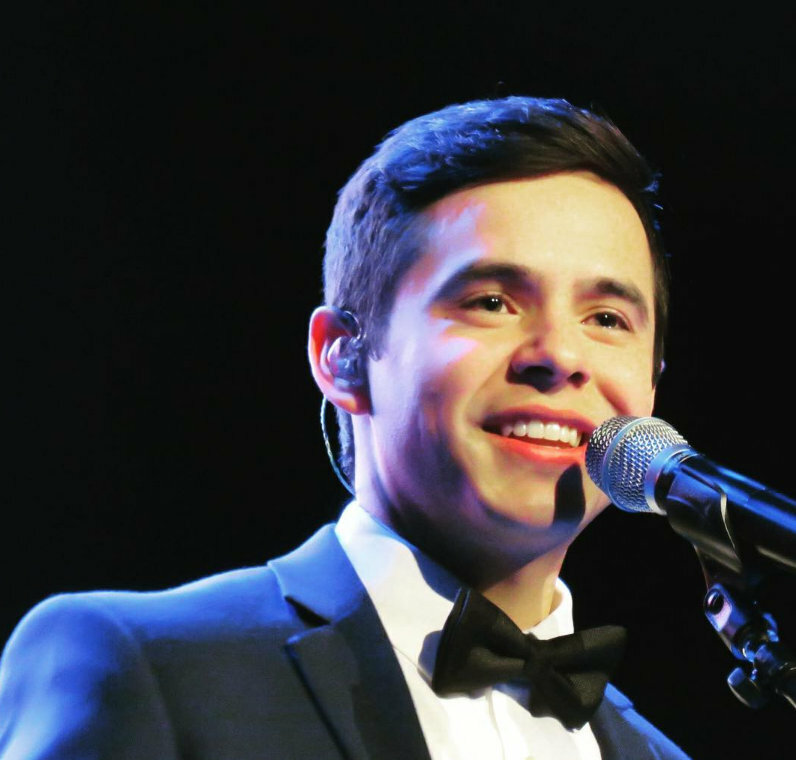 So grateful David is Singing at these concerts and you’ll be there to enjoy the shows. Nice to have our reporter to make the Christmas Season brighter. Bless Your heart ! Missed being at chat last night! I tried for 45 minutes to get in and finally gave up. Tried all the tricks, but no go. Next time! kaycee 65, that has always been one of my favorite interviews. This guy roasted D during Idol, but was putty in his hands during this interview! 92 – oooh, oooh djbell13, gracias for the gif gift. He is one with the music. Who else moves like that, who? Who? If anyone knows of someone who compares, please let me know, I would love to see them. I believe there is none. Emmiegirl, it’s an impossible task. Nobody else has that combination of good musical things. Nobody. I can’t even define it, thus the lame term “musical things”. I’ ve been getting my youngest ready to leave us for school. He took a year and a half off after HS graduation. To “find himself” lololol Music wasn’t the answer, he had to discover that on his own, I guess. He’s got a therapist’s heart, always has. Yikes, I thought this would be easy peasy for me. It’s crazy that it’s not, after all this time! 82 Yea! Gladys! 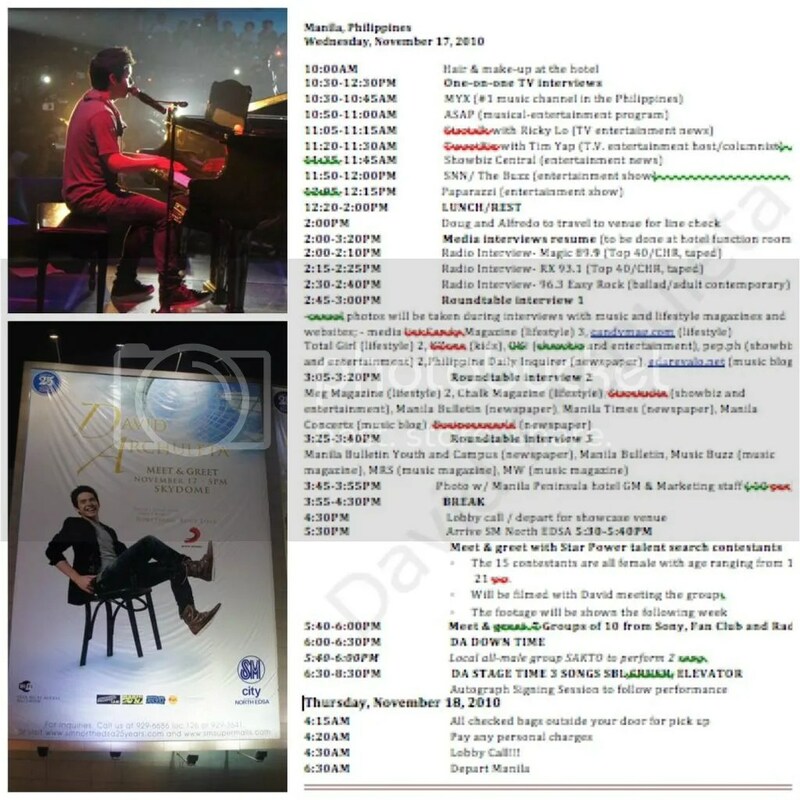 You are being blessed for sure!♥ Here’s hoping for days 7 and 15 so you can give us that incredible play by play action we are all starving for during this awful drought! Even though I can’t see him live this Christmas, it is wonderful to have all the cds and the videos from the previous concerts. I want to thank all the fans that work so hard to take the videos and post them on youtube and everywhere we can find his music, live and recorded! And all the moderators that find unique ways to put together entertainment galore to keep him around just so we can be happy while our guy is out of our lives for awhile! Just as David is dedicated, so are his fans! Betsy, “good musical things”…I’m gonna go with that, cause I cannot find adequate words to describe it either. Imagine that was a fruitful year in the Class of Life for your son. I wish more his age had that opportunity before diving into college with the expectation they should know what they want to do for the rest of their life. Letting go…it’s never easy. Or peasy. Apparently I wrote the same sentence twice. Too funny. Bebe is now doing magic tricks! #117 – I too was lucky enough to be at that concert & even made a brief appearance in the video – I know he was trying to get to me – but those silly girls jumped in and blocked his way – ha ha! What a great concert! LOL Shame on them, they stole your David moment!